Thanks from all at Marquee Controls and hope your estimate gives you and you client some indication of the hardware costs involved in your scheme. Prior to any orders we recommend that you speak to a specialist in our office, who will be able to check your design against a final quotation and also be able to advise on programming and commissioning services which will be required. Use + and - to add more modules. 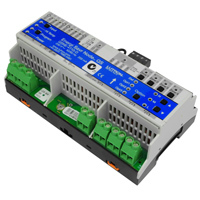 To enable the correct choice of dimming and switching modules, you must first establish the mix and quantity of all the lighting and control circuits within the property. Whether detailed load schedules or room by room estimates it is important you detail the total number of circuits for each load type before proceeding (240V Adaptive 10A, 240V Adaptive 1A, 0-10V, DMX, 240V Switched). 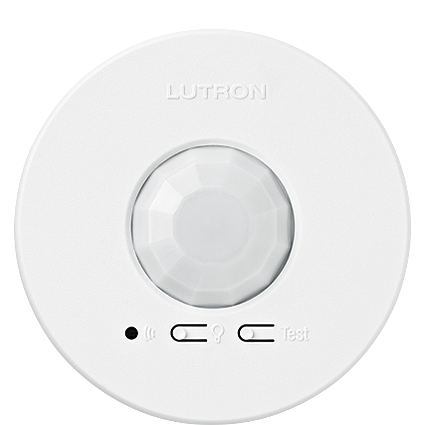 The estimator will allow for Lutron processors and module enclosures to facilitate your specific requirements. Other items such as PIRs can also be counted and selected as required. It must be remembered that apart from DMX that requires a channel per fixture or addressed load, all other modules cater for 4 circuits so please consider this when selecting the module quantities. In addition please note that where loads are small and budget tight, it would advisable to choose the 240V Adaptive 1A per channel unit but otherwise opt for the 10A capacity unit to allow flexibility in the scheme. (For further information please refer to the individual module specification sheets which describe each units performance criteria). After establishing the back of house control hardware the next step is to establish the ideal lighting wall keypad control locations throughout the property. Lutron produce many different face plate finishes and a number of different keypad types but for the purpose of the quick estimator, costs have been based on a standard white faceplate and button kit and the universal electronic single gang back module which works with all Homework QS premium face plates and button kits. (If you require any other pricing for Palladium, Architrave or other keypad types including the WCI wall interface unit that works with other third party switches, then please contact us and we can accommodate you with a specific quotation). 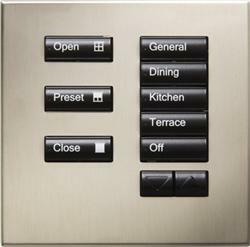 Use + and - to add more keypads. Marquee Controls * - Terms and Conditions of Sale. such transaction is accepted or purported to be accepted. and waives any claim for breach of any such representation which were not so confirmed. be liable for any such advice or recommendation. perform the contract in accordance with these terms. normal working hours Monday to Friday. distance of the site where the work is to be carried out. being provided by Marquee Controls. enable the work to proceed in accordance with the programme agreed. on the plans or drawings provided by the customer. thereof may be made by Marquee Controls. as a result of cancellation. valid for thirty days only or until earlier acceptance by the customer. or adequate information or instructions. customer. The time of payment shall be of the essence of the contract. day the invoice is sent to the customer. notified the customer that the goods are ready for collection or delivery. being treated a full month for the purposes of calculating interest). informs the customer that the goods are available for collection. the goods the time when delivery of the goods has been tendered. goods have been delivered to such premises or site. be sold by Marquee Controls to the customer for which payment is due. and identified as Marquee Controls property. stored and repossess the goods. or products mixed with Marquee Controls goods. correspond with their specification at the time of delivery. arising from any drawing design or specification supplied by the customer. or repair of the goods without Marquee Controls approval. undertaking shall become null and void. of the goods or their failure to correspond with the specification. inspection) within a reasonable time after discovery of the defect or failure. but Marquee Controls shall have no further liability to the customer. not affected by these terms and conditions. to the customer and notifies the customer accordingly. due and payable notwithstanding any previous agreement to the contrary. Incoterms and these terms and conditions the latter shall prevail. the payment of any duties thereon. transporting the goods from Marquee Controls premises. incurred by the customer as a result of failure to comply with this provision. notified to the party giving the notice. governed by the laws of England. Shepperton Business Park, Govett Avenue, Shepperton, Middlesex, TW17 8BA.